Land Rover Colorado Springs has the new 2017 Range Rover Evoque for sale today! This eye-catching vehicle has a stylish exterior and an interior filled with great features. The 2017 Range Rover Evoque comes in coupe, five-door, and convertible versions. 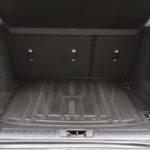 The models available include SE, SE Premium, HSE, HSE Dynamic, and Autobiography. This crossover SUV is powered by an all-aluminum 2.0-liter 4-cylinder turbocharged engine with direct-injection technology and independent variable valve timing. This is paired with an efficient and refined 9-speed automatic transmission. This combination creates the power needed to provide a towing capacity up to 3968 lbs for the coupe and five-door and up to 3307 lbs for the convertible. The lightweight steel and aluminum suspension includes struts with advanced hydraulic rebound technology. In addition, innovations such as Terrain Response and Torque Vectoring by Braking provides a dynamic ride. The interior of the 2017 Land Rover Range Rover Evoque delivers an amazing experience for driver and passengers. The twin-needle stitched leather is so comfortable and will make your drive more enjoyable. Also, choose from aluminum or wood veneers so you can create your dream interior style. The Land Rover InControl® Touch Pro™ infotainment system takes entertainment and connectivity to an exciting new level! Choose from a selection of amazing Meridian™ Sound Systems, either 10-speaker, 12-speaker, or 16-speaker depending on the model. The Range Rover Evoque shown above is the 2017 Land Rover Range Rover Evoque SE Premium 4WD. 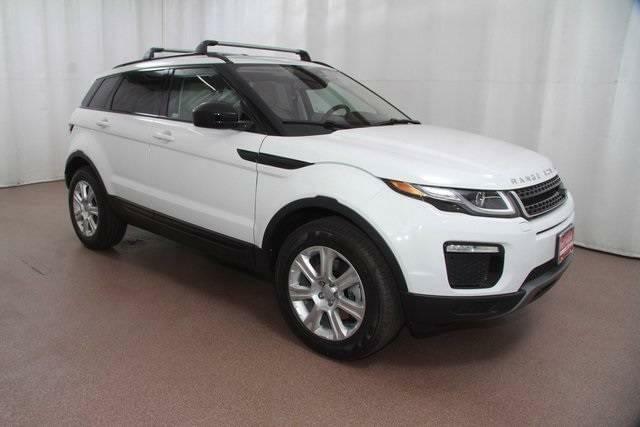 It is available at Land Rover Colorado Springs priced at less than $50,000! The features on this vehicle include Cold Climate Convenience Package, 12-way electric seats, speed-sensitive windshield wipers, navigation system, heated windshield, heated door mirrors, and many more. Stop in to Land Rover Colorado Springs today to learn more about this amazing vehicle and check out the full selection of the Range Rover Evoque. Learn about the many features, take a test drive, and we know you will see how this will be the perfect luxury crossover for you!